How to add registration form on pop up on site load? How to add pop up on site load? 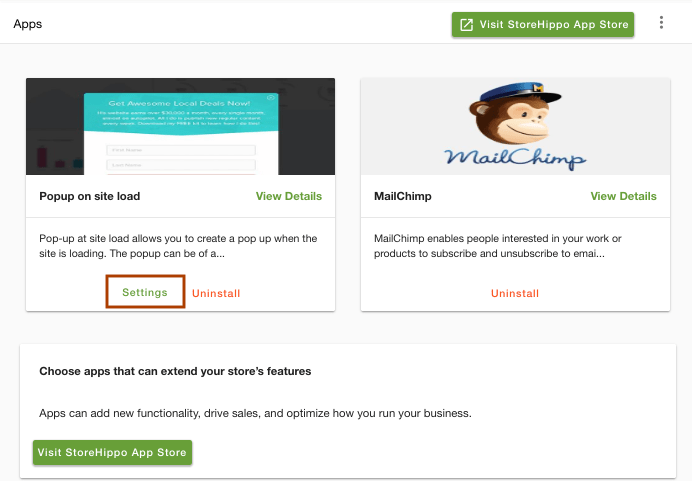 To add pop-up on site load, first, you need to download the StoreHippo app "Pop-up at site load". 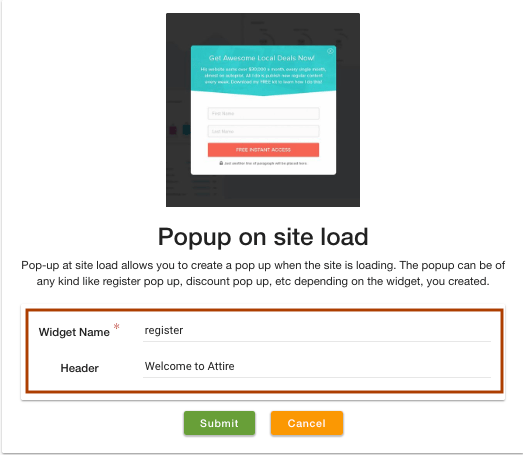 This app allows you to create a pop up when the site is loading. 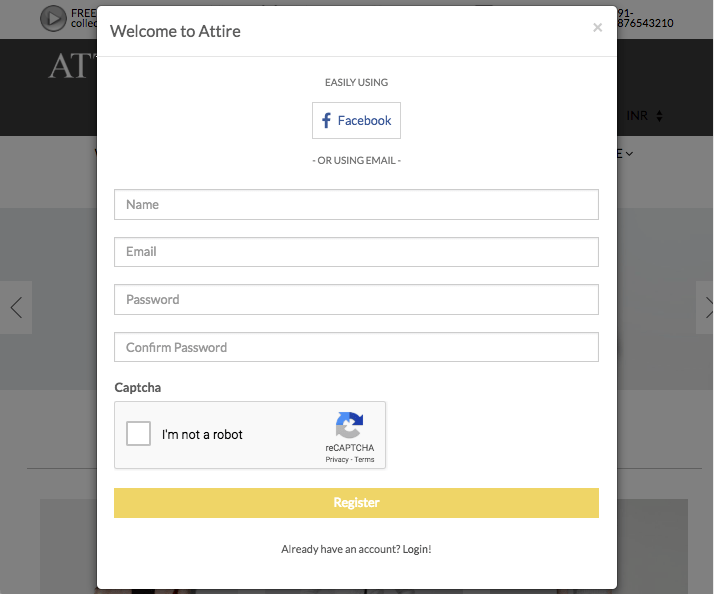 Then you can add the registration form on the pop up. Go to Advance Settings > Apps section in the StoreHippo Admin Panel. Click on Visit StoreHippo App Store. 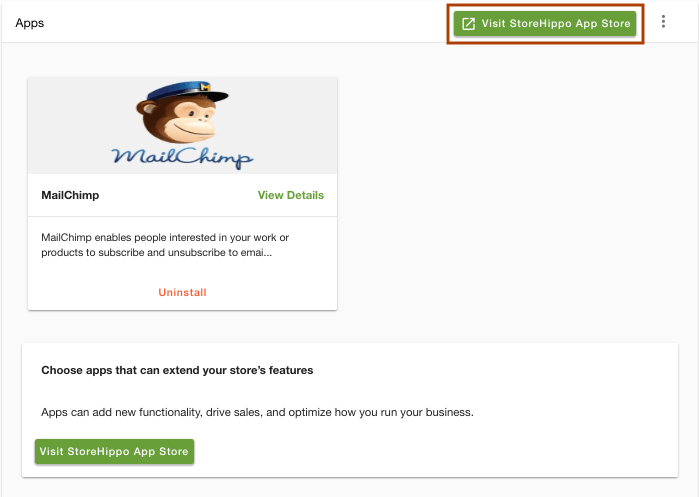 It will redirect you to the StoreHippo App Store. Search for the app Pop on site load and install it. Click on the Settings of the app. Click the Edit to provide the widget name and header. 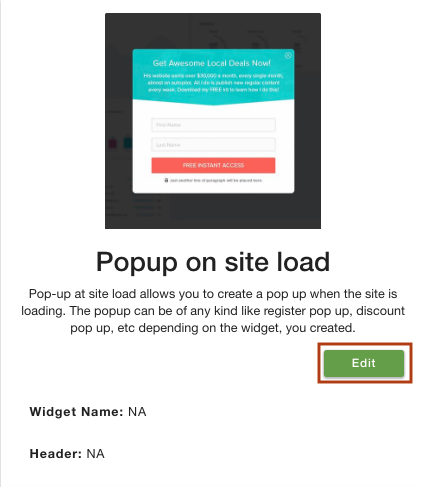 Specify the Widget Name and header for the pop-up in app settings. Widget name: Provide the name of the registration widget as "register". Header: Enter the tagline of the pop-up as "Welcome to Attire". The pop-up on the site load will appear as shown below.